Potential Symphony players enjoy themselves during their rendition of Government Boots by Gabby at the National Panorama (medium bands) semis at the Queen’s Park Savannah yesterday. The National Panorama (medium band) semi final at the Queen’s Park Savannah yesterday, started at 1.24 pm literally with a bang, as Petrotrin Katzenjammers filled the air with a powerful Terrence BJ Marcelle arrangement of Explainer’s Lorraine. Unfortunately not much of a crowd was present to hear the fiery performance. 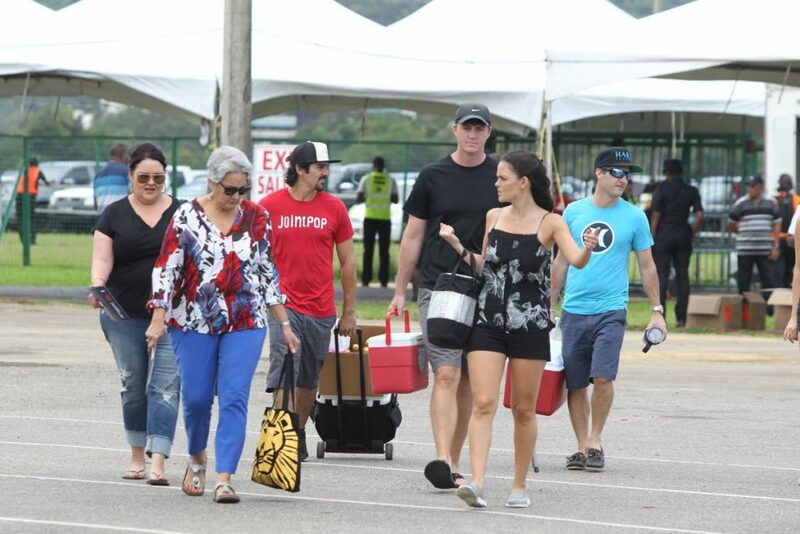 Pan Trinbago president Keith Diaz said the 24-minute delay was due to an infrastructure problem. Arranger Ken “Professor” Philmore did wonders with Meet SuperBlue by Fay Ann Lyons-Alvarez for the Sangre Grande Cordettes. So melodious was the music that it appealed to the crowd who rewarded them with lusty applause at the end. 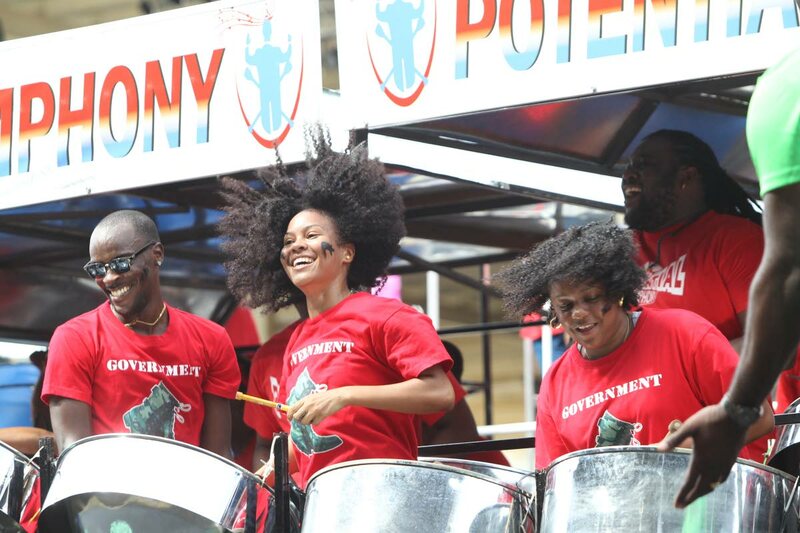 Next up was Potential Symphony whose frontline pannists marched to their pans, saluted the judges on cue from arranger Akua Leith, then began with a bar of the Battle Hymn of the Republic before getting into the song of choice, Government Boots, by Barbadian Anthony “Gabby” Carter. Inside the arrangement were known army chants. At either side of the band were women dressed in army fatigue standing at ease. Towards the end the performance they did a short marching routine. 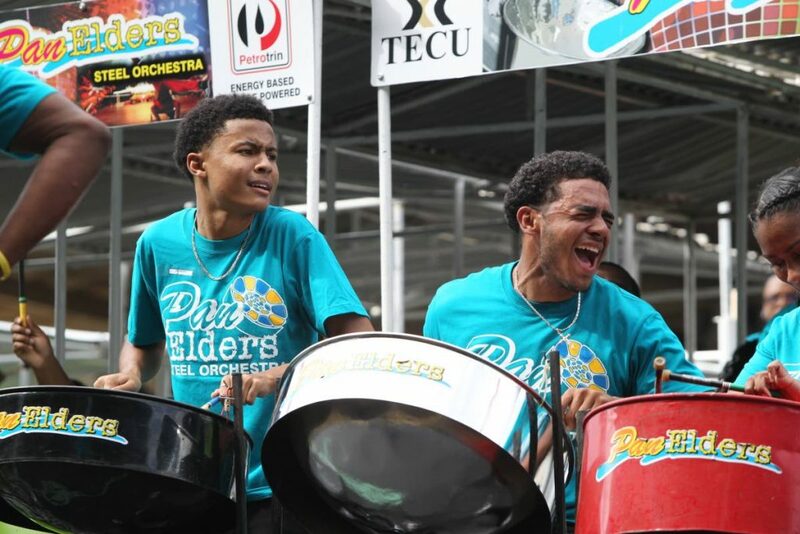 However the action got to fever pitch when defending champions Pan Elders, of San Fernando, took the stage. 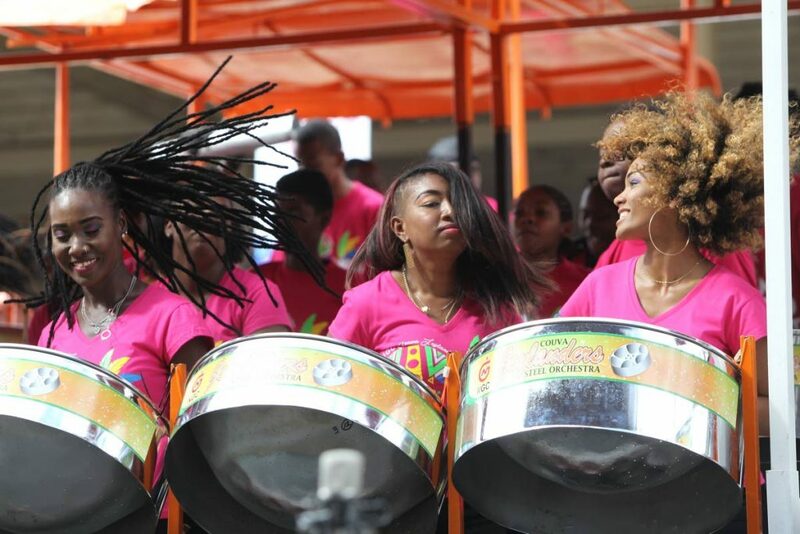 Arranger Duvone Stewart touched the hands of all the frontline pannists in the band, led them into a hyped up chant, then produced a performance which could see them copping their fifth consecutive win in the medium bands category. Their sweet delivery of Samuel “Brigo” Abraham’s Limbo Break was done with such clinical precision that left the arranger dancing merrily and signalling praises to the Almighty. Thunderous applause followed their performance. NGC Couva Joylanders played Nah Do Dat from the pen of Neil “Iwer” George. Complete with Dame Lorraines dancing at the side of the band, they delivered on the Stefon West arrangement that got the crowd’s attention. They were roundly applauded at the end of their performance. The Andre White arrangement of Fiery by Maestro (Cecil Hume) and Bunji Garlin (Ian Alvarez) had some elements of fire in it, while Power Stars, who played an Aaron Clarke arrangement of Stranger by Shadow (Winston Bailey), earned themselves some polite applause. Another high point of the evening came when Petrotrin Siparia Deltones, that looked and sounded like a large band, took the stage. Their execution of the Carlton “Zanda” Alexander arrangement of Calypso Rose/Machel Montano’s Leave Me Alone was a joy to listen to. In the middle of the arrangement the players sang a couple bars of the song, and for the most part they enjoyed themselves on stage. Carib Dixieland followed with a sweet and melodious version of Patrice Roberts’ Big Girl Now, arranged by Kenneth “Panam” Clarke, that delighted the crowd. Performing earlier was Arima Angel Harps that played an Aviel Scanterbury arrangement of Aldwyn Kitchener Robert’s Pan In A Minor. By the time Courts Sound Specialists of Laventille took the stage to play SuperBlue’s Swing, arranged by Akiba Joseph at approximately 4.35 pm, the North Stand was practically filled but the wings of the Grand Stand remained with seats severely undisturbed. Reply to "Heat at National Panorama semis"